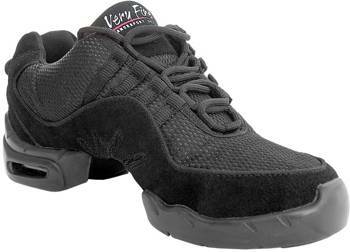 These are the VFSN line of dance sneakers. These dance sneakers are extremely comfortable, and very light weight . The body of the shoe is made from a combination of breathable mesh fabric and suede and incorporates super lightweight materials. There is also padding on the inside sole for extra comfort. The split sole has an air cushion heel and is made from polyurethane, so that you can swivel quite easily, but you still have adequate grip when you need it.